Before you begin any type of excavation or digging, please call 8-1-1 for the location of underground facilities. Is the light out all the time? Is the light cycling off and on? Is the light burning all the time? 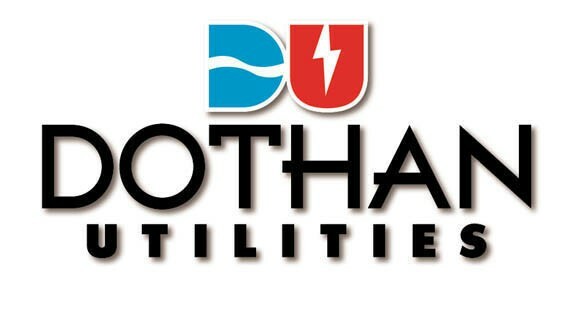 Dothan's Utilities Department is municipally owned and operated, offering services in southeastern Alabama. Our goal is to provide efficient, effective, and economical electrical redistribution, potable water, wastewater, and fire protection assistance for the citizens of Dothan. Our vision is to be the best electric, water, and wastewater utility in the Wiregrass area with regard to rates, customer service, reliability, and community involvement. This department is comprised of the staff and equipment responsible for the day-to-day operations. Our dedicated employees work around-the-clock to make sure more than adequate and reliable electricity remains available for instant use, wastewater services fully support our customer needs while ensuring environmental integrity, and a safe, high-quality, and ample supply of water is delivered with suitable pressure and with minimal interruptions. 125 N. Saint Andrews St.
How do I inquire about my bill?